When I first receive the invitation to this event, I couldn't believe it - I'm going to visit the children at Rumah Titian Kasih located at Taman Titiwangsa. Honestly, I'm not a person who will intentionally visits children home or nursing home, but when the chance come, I'll take it! And there I am, at Rumah Titian Kasih waited for the event to start. Was told to go earlier than the registration time for a short briefing as bloggers are going to be the kids' mentor for the activities arranged on that day, I hope I did a good job that day lol. Actually, it's not just the kids get all the fun and exciting line ups of activities. 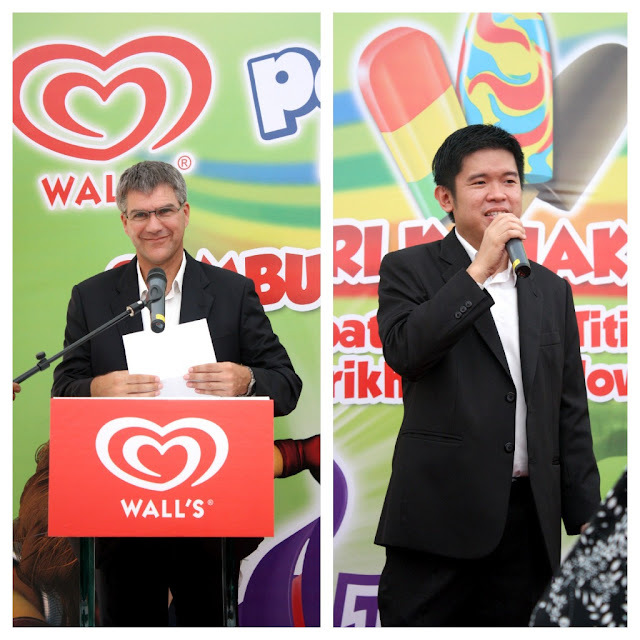 Wall's and LEGOLAND Malaysia has also announced their five-year appointment of partnership and Wall's will be the exclusive ice-cream partner of LEGOLAND Malaysia. 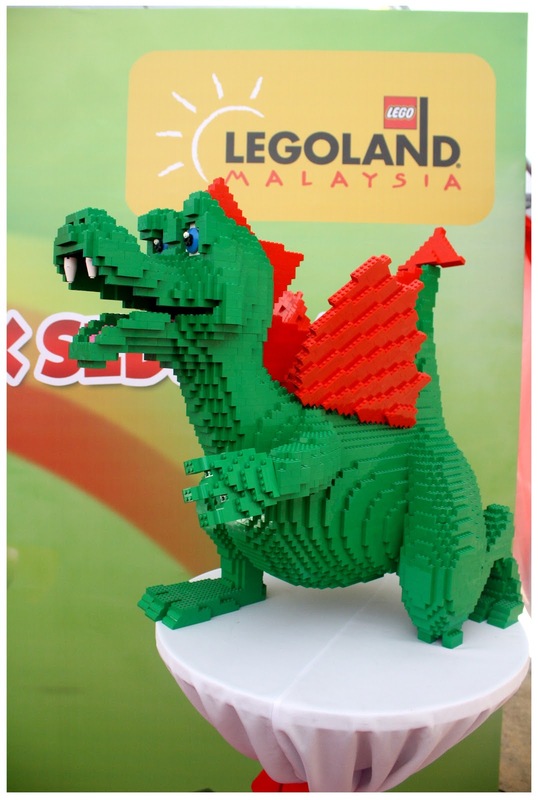 What can be more fun than eating ice cream and enjoy the rides in LEGOLAND at the same time right? 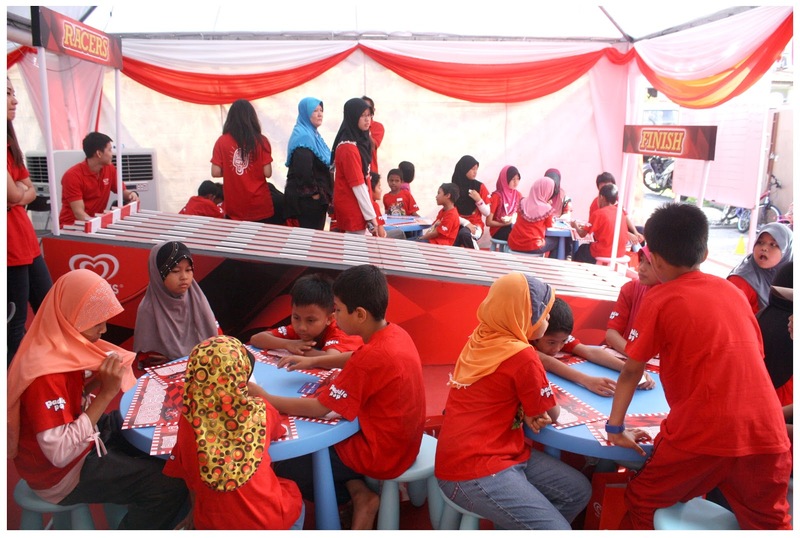 All the kids are already waiting to start the day's activities. 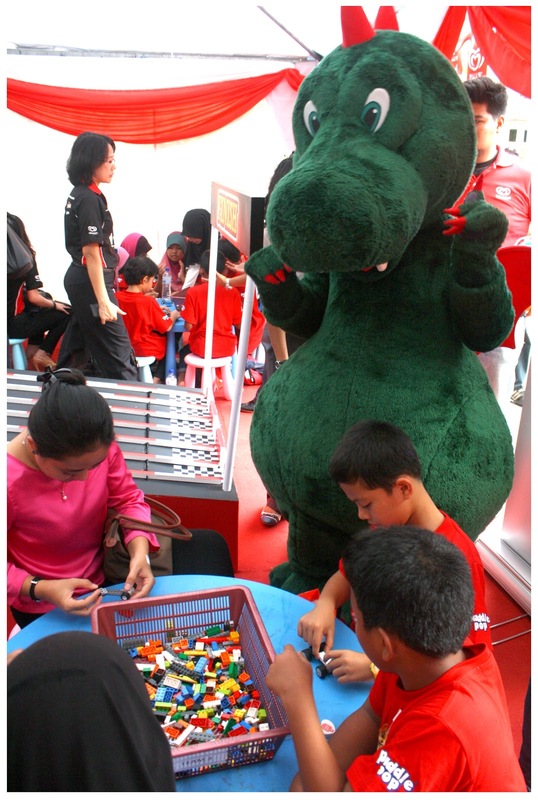 Spotted Lego's mascot - Ollie the dragon, built using Lego! Reminds me of all the achitectures and buildings in LEGOLAND! That was a sunny morning, perfect weather to heat up the place with laughter and high spirits. 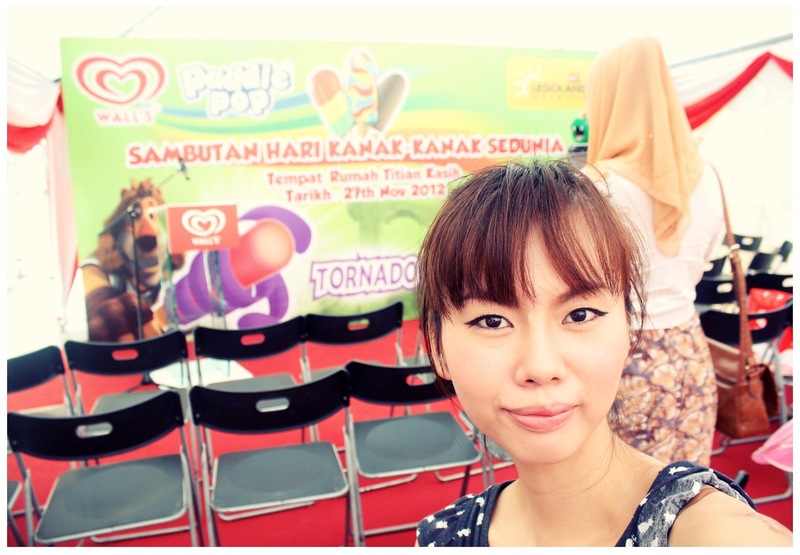 The MC of the day - Azura Zainal, RedFM DJ and former Disney Channel Asia presenter. She does know how to bring up everyone's spirit and the kids are so happy to see her hosting the event. Cheerful Azura, kids love her. To kick start the event, Mr. Chan Meng Yang - Marketing Manager of Unilever Malaysia Holdings Sdn. Bhd and Mr. Siegfried Boerst - General Manager of LEGOLAND Malaysia were invited on stage to give their opening speech. Just before the gift exhange ceremony begins, I noticed something huge moving at the corridor beside the stage and when I see it, they are the life size mascot of Wall's - Paddle Pop Lion and LEGO's mascot - Ollie the Dragon made their appearance! 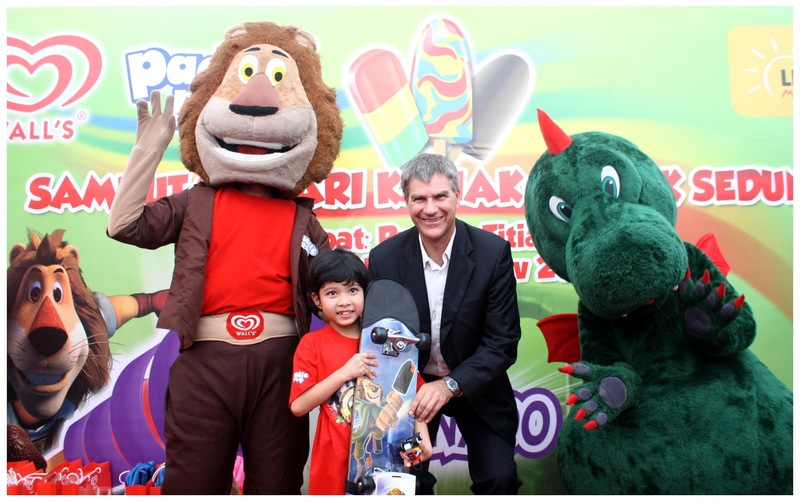 I felt so happy as this is my first time seeing Paddle Pop Lion in front of my eyes, such nostalgic mascot that I've known all these years seem just came to life. Bet the kids are as thrilled as I do. See! 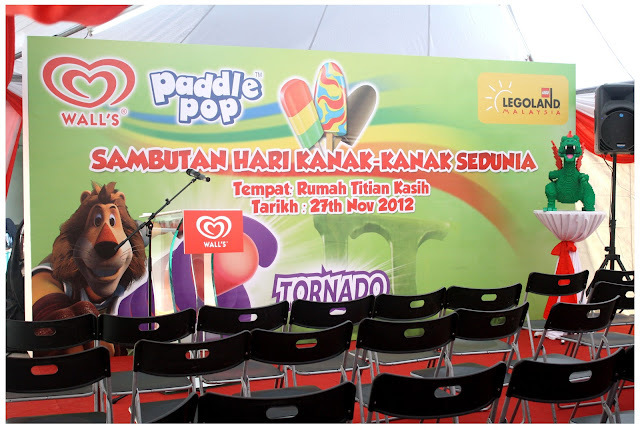 I told ya kids love Paddle Pop Lion. 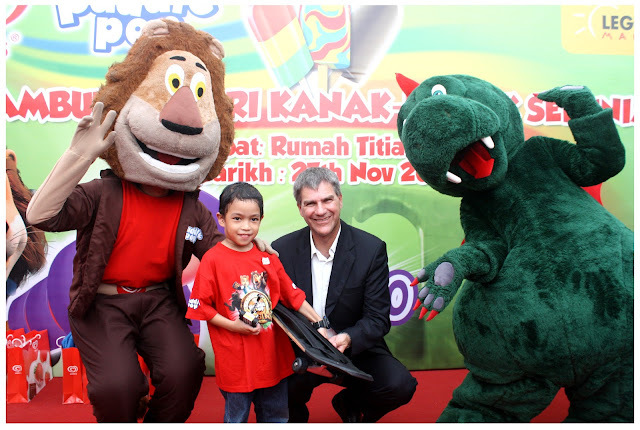 I wanna hug Paddle Pop Lion too if I'm a kid. lol. Here comes the time all the kids are been waiting for. Most of kids from Rumah Titian Kasih haven't been to LEGOLAND before BUT, today, they get to experience "Build and Test" activity which Wall's Paddle Pop emulated from one of the famous activities at LEGOLAND Malaysia. 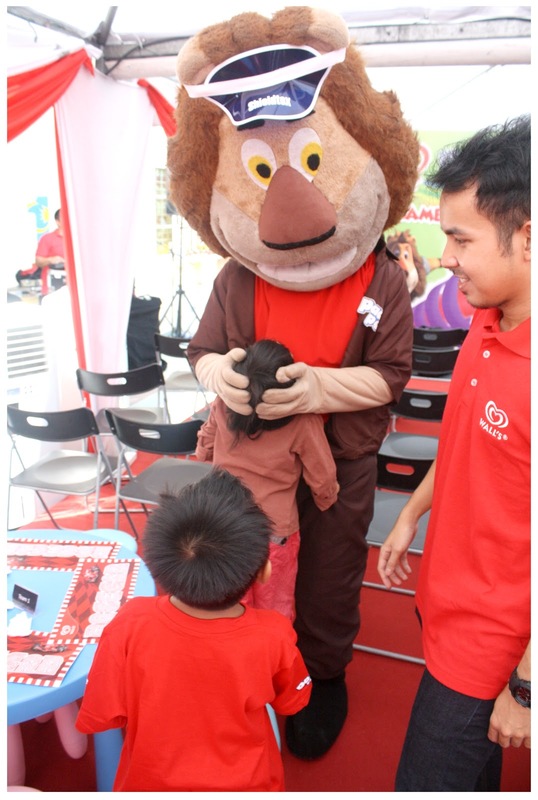 It is to stimulate children's imagination through this activity. The "Build and Test" activity promotes cognitive, emotional, social and motor developments in children. 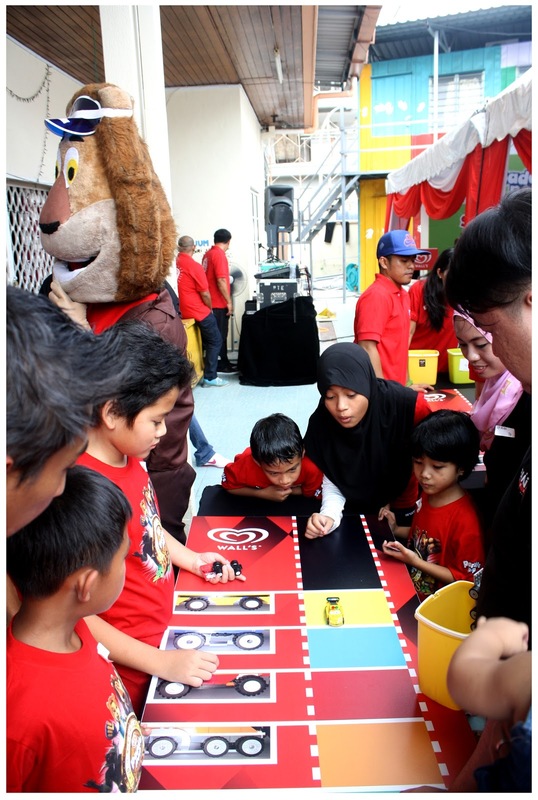 These fun activities encourage children in thinking creatively and learning through quality play experience. It looks easy, but it's not. Have to give hints to some of them to the right route. Kids? 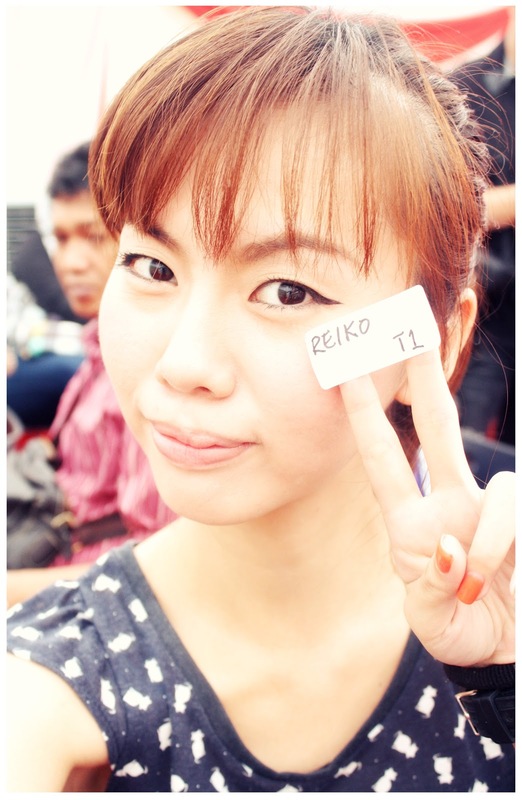 Driving License? Yes, you see it right, all the participants have to earn their 'driving license' by riding bicycle going zig-zag around the cones. 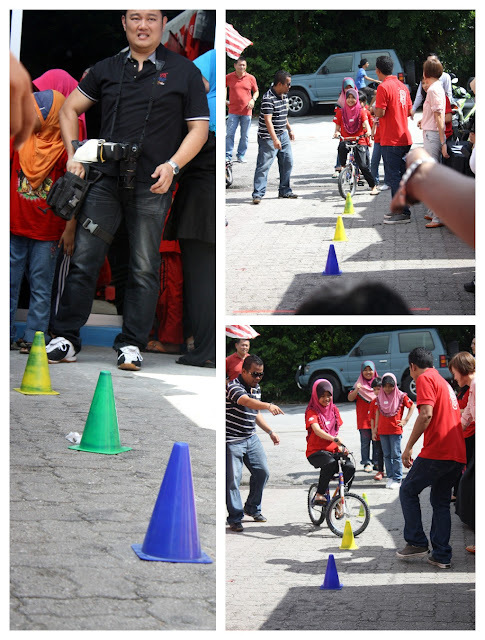 The cones were placed close and it's definitely something challenging for the kids, but most of them did well and earned their driving license to proceed to next stage. "Kiri, Kanan, lambat sikit, jangan langgar cone." 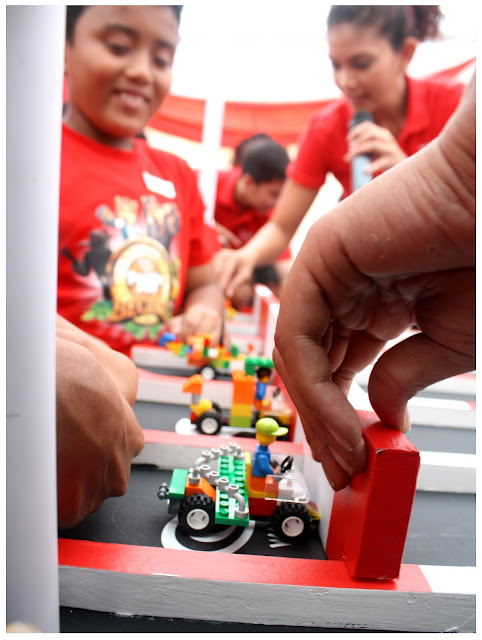 Mentors of the team are guiding the kids to go through the challenge. 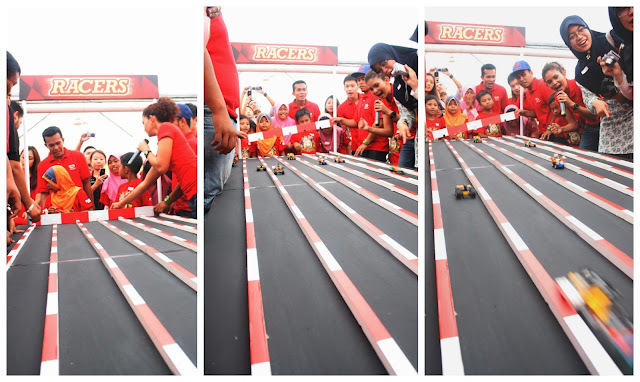 I think by far, this is a more challenging task for the kids compare to the previous two tasks as their base model of car will be given based on which box the mini race car landed on. If you wanted to build a 4-wheel-drive like car, you gotta estimate the force to push your mini race car so it will landed on the 4-wheel-drive base model car box. Confusing? lol. 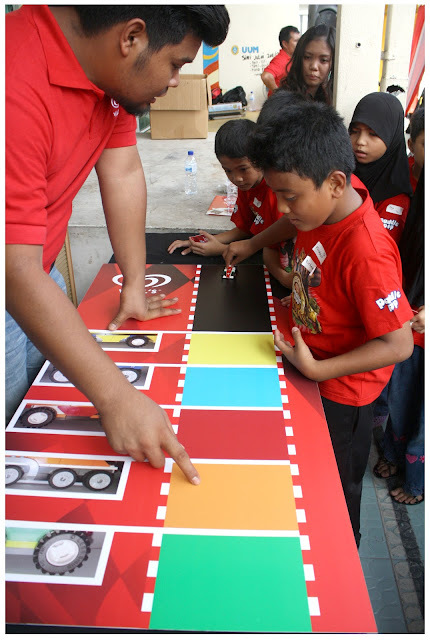 Which box your mini race car landed on, you'll get what car model base. There are 5 types of car model base. Claim the car model base and start building your own car using LEGO! 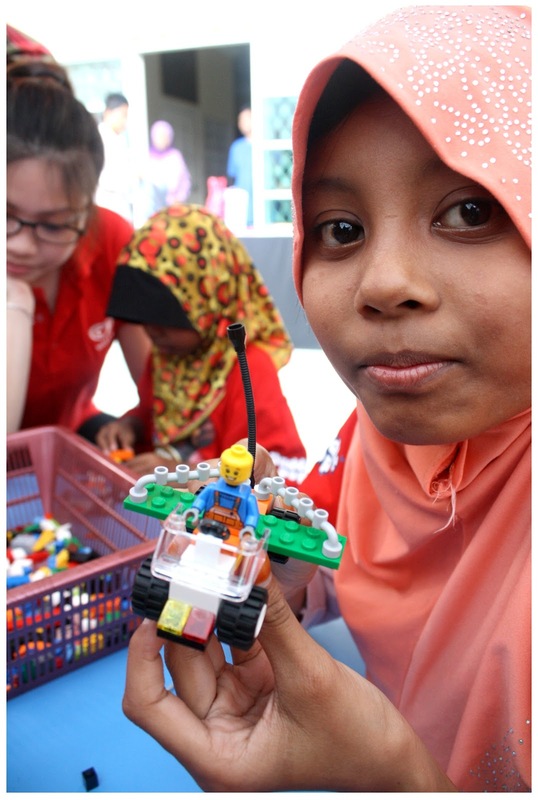 Now, the kids has gotten the base to build their own race car, in order to race faster than other team's race car, they have to create something that will go further and faster, by using LEGO bricks. 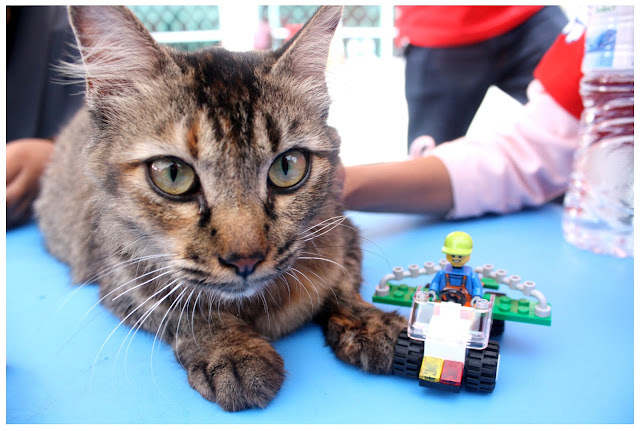 At the same time, Mr Siegfried and Mr. Chan Meng Yang were going around, observing the kids build their race car and try to find three most creative race cars that were built. Ollie the Dragon cheering for the kids. 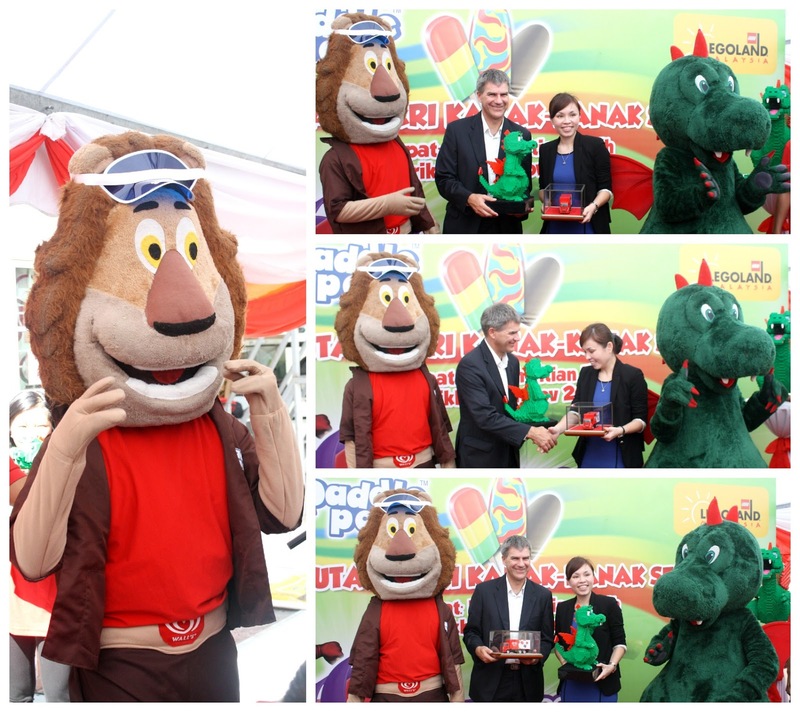 Paddle Pop Lion came to the rescue! All the kids' creativity can be seen while they're building their race car. They have their own ideas of how a race car should look like, and by imagining the image, they build it up piece by piece using the colourful LEGO bricks, making their imagination come true. Although some may find it difficult to build, but they never give up. With the support of friends and mentors, all the kids managed to build a race car by themselves. 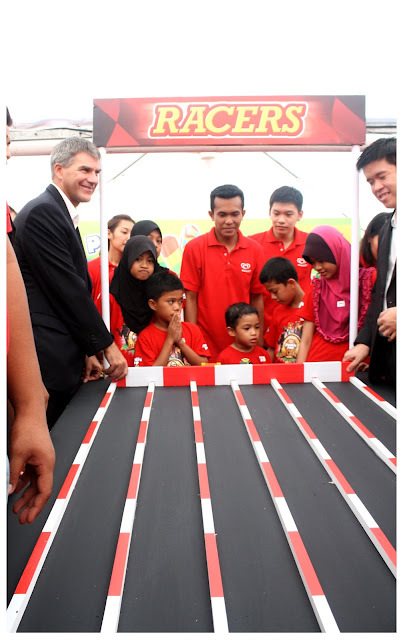 Sadih's race car, that has wings and driver on it. 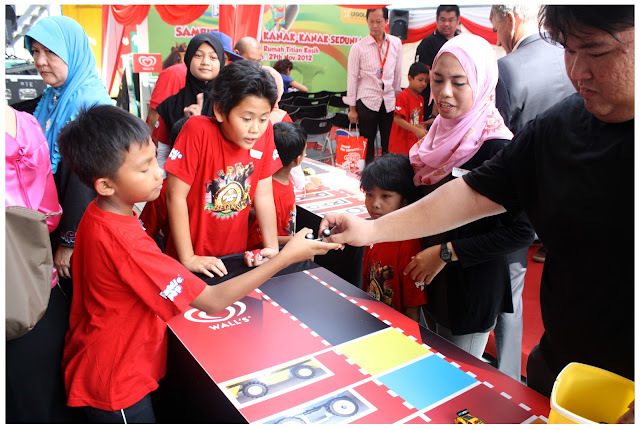 It is time to put all the race cars to test, and team that has the most points will win themselves prizes in this "Build and Test" activity. Race cars lining up.... This is getting a bit like F1 don't you think so? 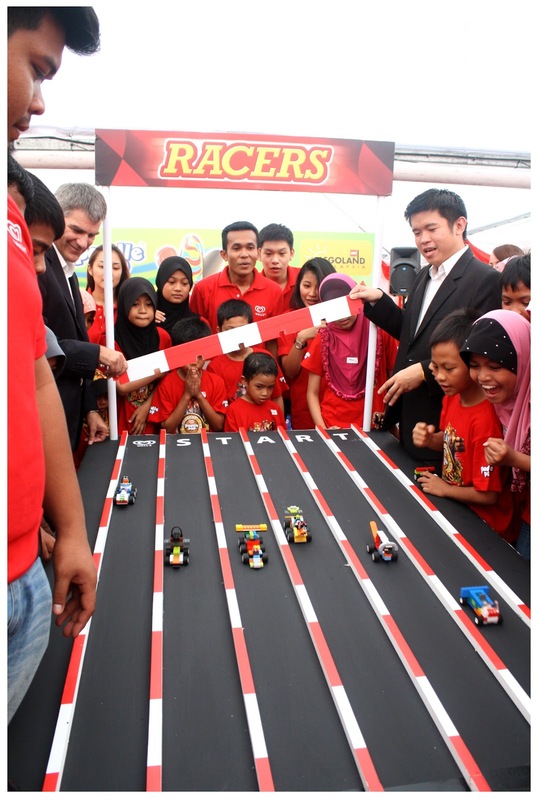 Each members from each team gets their chance to put the race car they build to test the speed on the race track. Children are cheering, clapping and trying to adjust the race car so that they can win in the racing contest. Which will officially start with Mr. Siegfried and Mr. Chan lifting the barricade up. 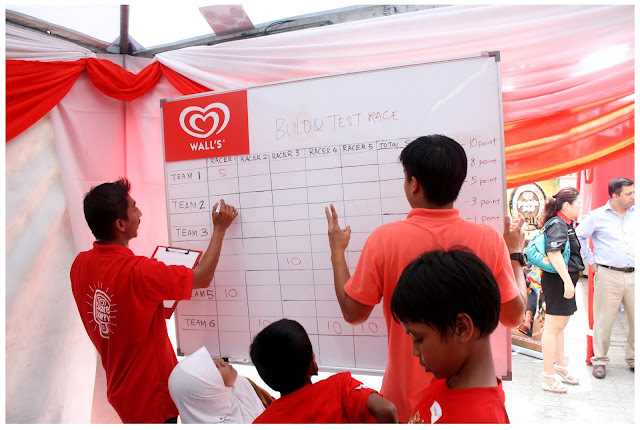 After all the races done, crews were busy calculating points for each team to determine who will be the winner in this "Build and Test" activity. The yummy peelable grape jelly that wraps around a strawberry ice core brings more fun to ice-cream consuming experience. This fun day has come to an end with the prize giving ceremony. 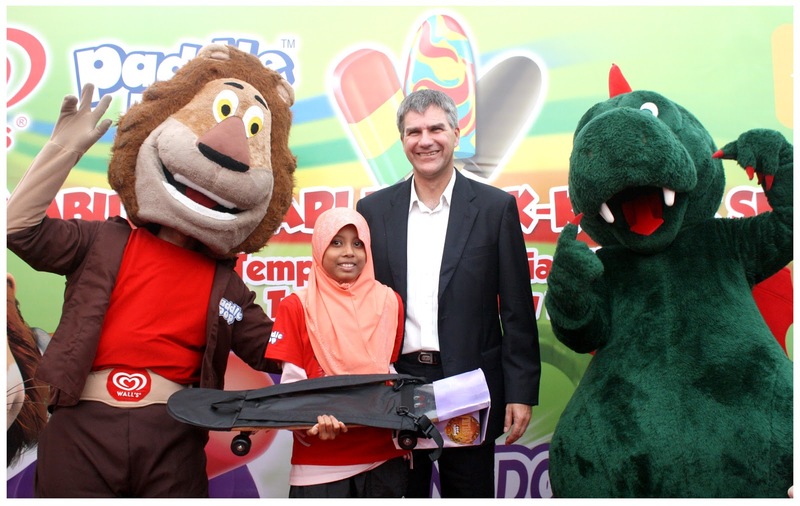 So happy that Sadih from Team 1 has won one of the most creative race car prize and got herself a cool skateboard! 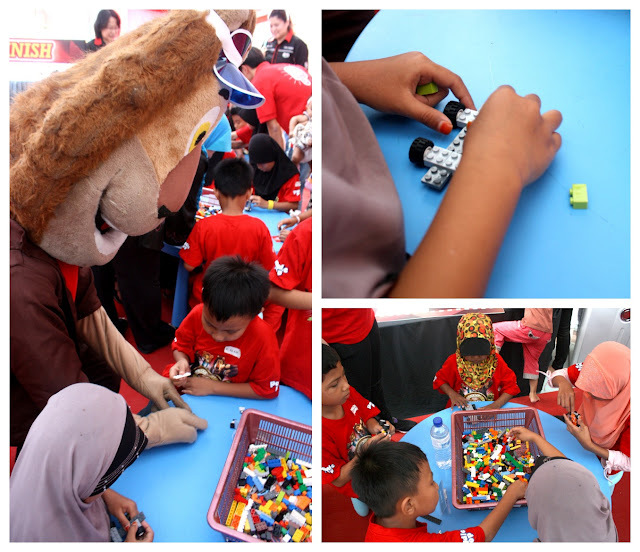 There are three winners in the creative category and three teams that got most points from the racing contest wins each of themselves a Wall's Paddle Pop x LEGOLAND goodie bag! Even though Team 1 didn't win, but I'm still so proud and happy that each and every one of them managed to complete each tasks given and build their own race cars based on their creativity. Good job kids! It was so fun to see how their dream race cars looked like. Last but not least, a group photo. 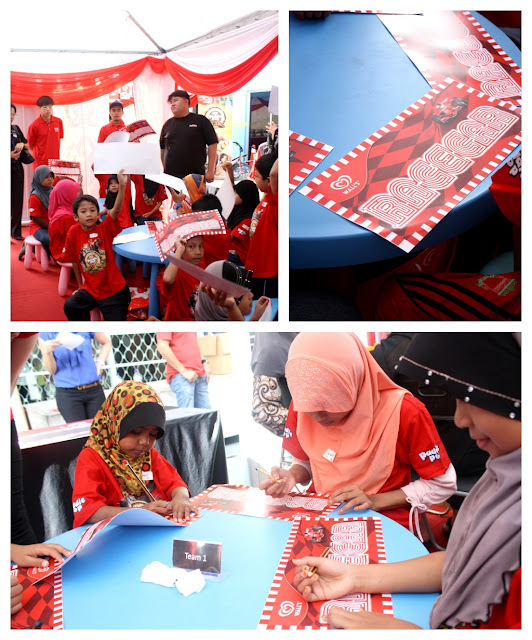 So glad that I made it to this event that brings me so much joy and laughter with the kids. Children always surprise us with their pure and innocent thoughts and creative imaginations don't they? I believed that with the joining forces of Wall's Paddle Pop and LEGOLAND Malaysia, celebrating good times through fun, adventure and creative learning in children will be more enjoyable. 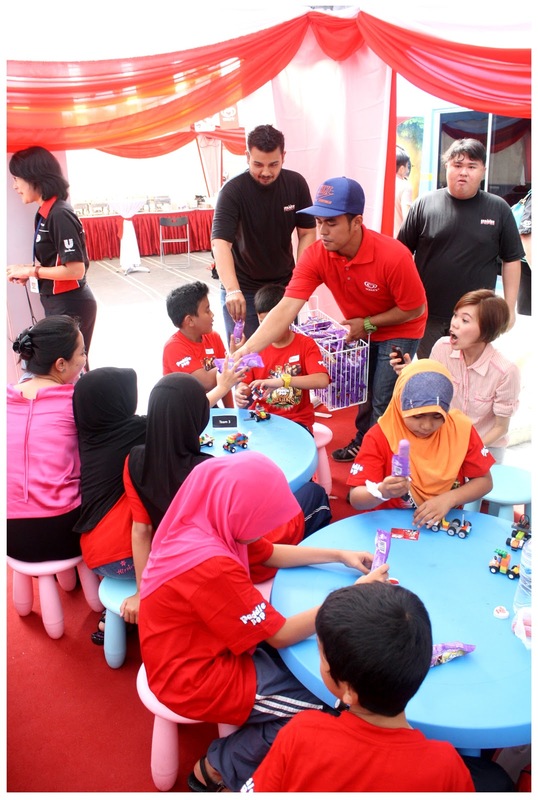 Did I forget to mention that all the kids from Rumah Titian Kasih were sponsored to an all-expense paid trip to LEGOLAND Malaysia? Thanks to Wall's Paddle Pop and LEGOLAND Malaysia that made the children's dream come true. 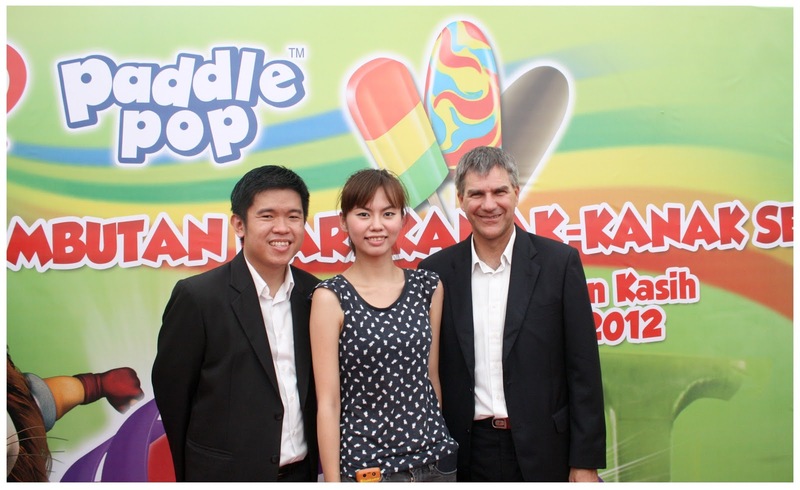 A photo with Mr. Chan Meng Yang and Mr. Siegfried. Pardon my messy hair and look due to the fan and sweat. 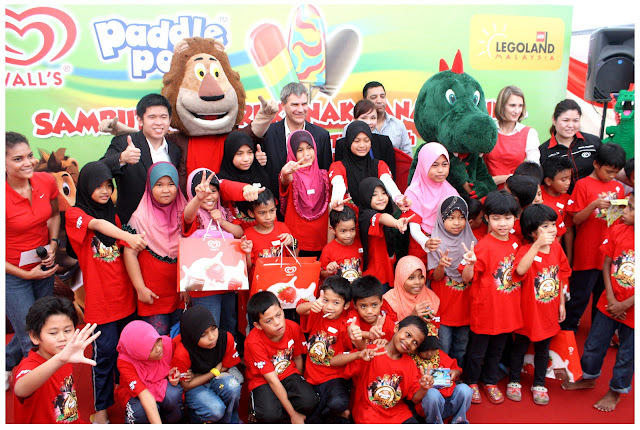 Wall's Paddle Pop and LEGOLAND Malaysia collaboration? fun event! didn't bring ur boy to go?